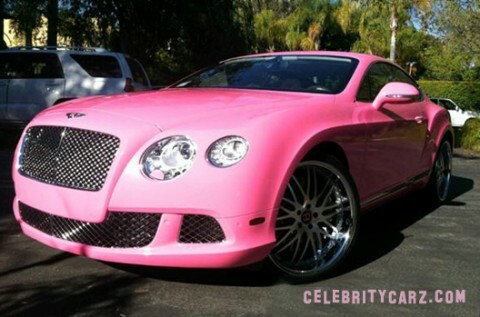 Nicki Minaj, aka Pink Barbie Doll, just picked up a new Bentley Continental GT. This car is a perfect fit for her, matches her more than it does Paris Hilton. The only problem I have with this car is the cheap cast wheels. You go out and paint an entire Bentley in pink but you get cheap on the rims? The wheels probbably cost $200 each. She should have gotten a set of 3-piece wheels that were color matched pink and chrome two tone. Instead she chose machined wheels with a high polished lip right out of China which does not match the car at all. 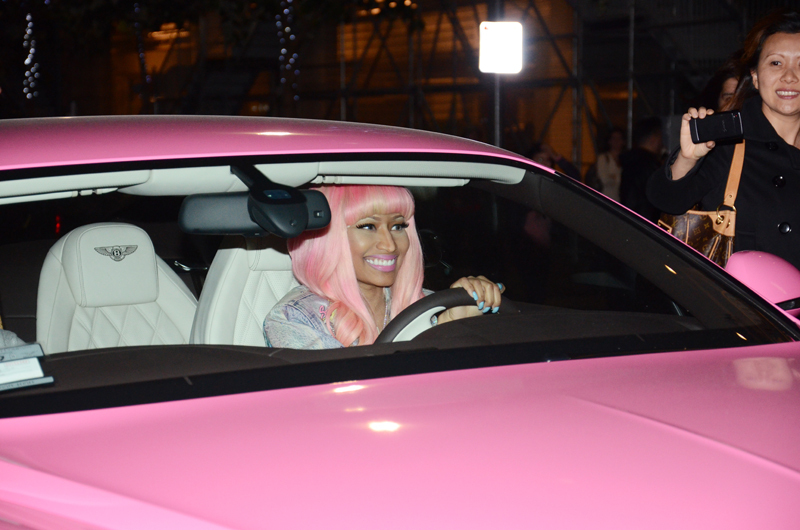 Might want to use some of that plastic surgery budget for the wheels on your car Nicki.